Hospice Care — Are You Aware? As you likely know, hospices care for people at the end of life. You probably know a friend or family member who received hospice assistance when they were faced with a serious illness and death of a loved one. But do you really know how they leveraged hospice care? Read the following for a better understanding of hospice and so that you will know how to leverage this great service should you ever need to do so. A hospice care team is made of doctors, nurses, social workers, counselors, spiritual care providers, trained volunteers ad other skilled professionals who provide high-quality, compassionate care. Hospice care is fully covered by Medicare, Medicaid, and most private insurance plans and HMOs’. There’s no limit to the amount of hospice care a person can receive, it’s available as long as a doctor believes a patient is eligible. Most care is provided at home but hospice is also available in nursing homes, assisted living and long term care facilities and hospice inpatient units. Hospice care can include complementary therapies, such as music and art, t ring additional comfort to patients and families. More that 1.5 million people receive care every year. So many of our care recipients and their family members refer to our Visiting Angels professional caregivers as ‘angels’; surely a compliment to the loving and compassionate care they provide. Very often, our caregivers are engaged to assist hospice care providers either in the home, a hospital, or a hospice facility. 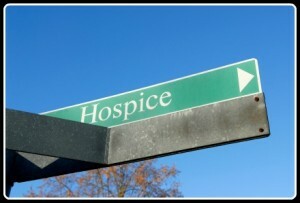 Generally speaking, hospice is an under utilized service that can be a blessing, but only if you know about it! Take time to learn about hospice care. I think you will be glad you did!